When I was pregnant with Autumn, I had a list of things to buy longer than my arm. Near the top of my list were the all-important sterilising and antibacterial products you need with a new baby. Parents have trusted Milton for over 70 years. I actually remember my mum using their products 20 years ago when my brother was a baby. As such, I trusted them and turned to them to help keep things clean enough for my baby! This is my go-to antibacterial spray. I have some of this in my cupboard at all times! It’s great for anywhere really…the kitchen, the highchair and changing mat are where I find I use it most. It kills 99.9% of germs and leaves a lovely, fresh smell behind. 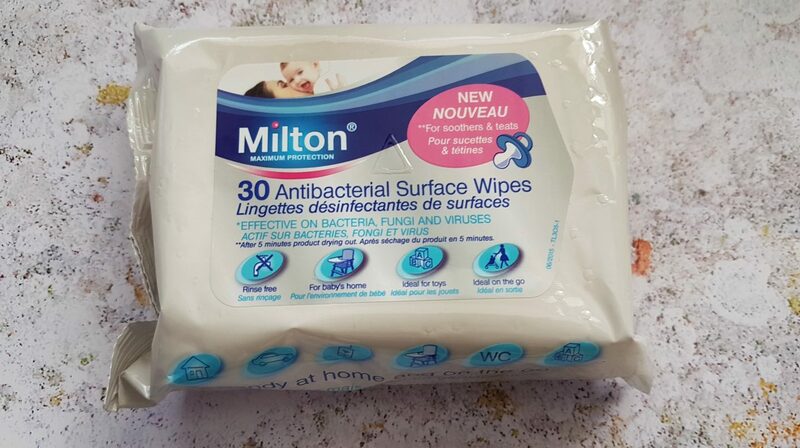 These wipes have been amazing over the past 18 months. Obviously, it’s not practical to take out a bottle of spray with you, which is where these come in! These days, I mostly use them for tables or highchairs in restaurants. In the first 6 months when exposure to germs was more of a concern, I used to use them on toys if they were dropped on the floor. Likewise, if dummies went on the floor I’d give them a wipe with this if we were out and about and I’d run out. I know some people ‘clean’ them by putting them in their mouths, but that’s something I personally dislike and wouldn’t do with my child. I love taking Autumn to soft play, but I always feel like my hands need a good clean afterwards! 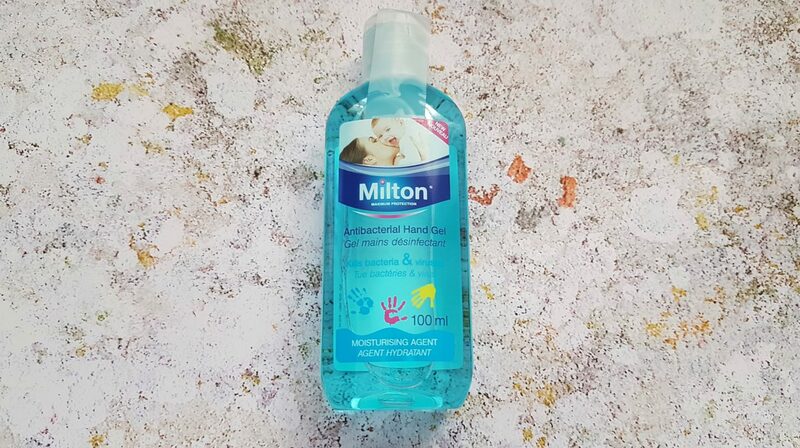 An antibacterial hand sanitizer is great to have to hand. This one doesn’t feel too drying, smells good and isn’t sticky. It’s also good for use after an on-the-go nappy change or before feeding your baby and kills 99.9% of germs. Now, this isn’t a product I’ve come across before, but I went sent a sample to test. 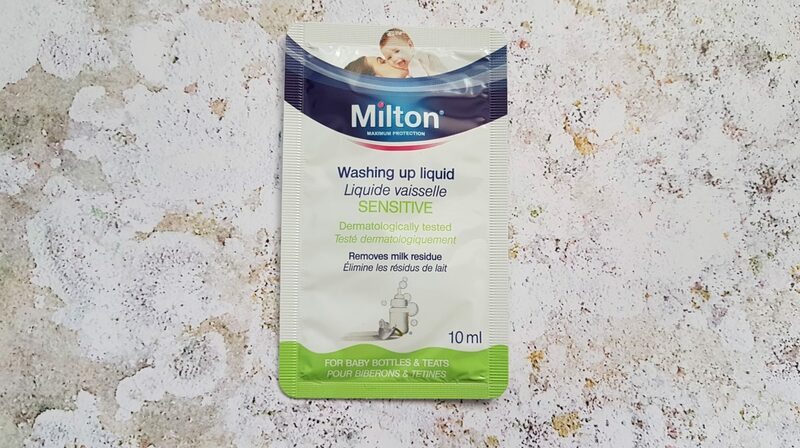 It’s suitable for sensitive skin and is designed for washing up baby bottles and teats before sterilising them. It apparently removes milk residue, which is good as I don’t like it when bottles go cloudy. 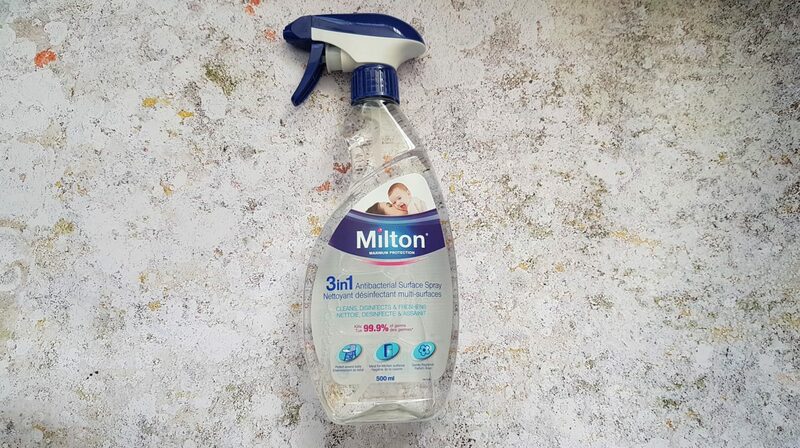 I can’t judge this product very well as this was only a small sample to try, however, everything washes in it smells nice and fresh and as it’s Milton I think I’d trust it to do what it says. Disclosure: I was sent the above products for the purpose of this review. As always, all views and opinions are honest and my own.